At Fenkell, we take pride in providing customers with complete auto care at competitive prices. Our licensed technicians provide fast, friendly service, including same-day service on most repairs and maintenance. 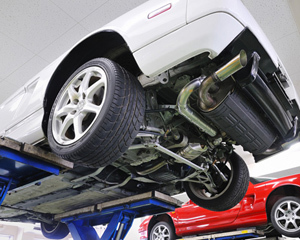 Entrust your car or truck with Fenkell for full-service mechanical repairs and replacements. When you regularly maintain your vehicle, you prolong its life. 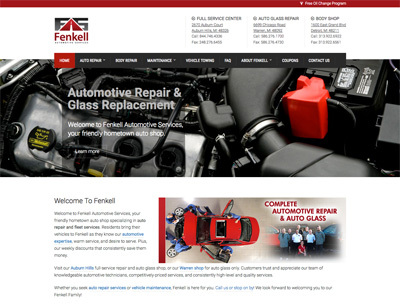 At Fenkell, we will set up a schedule that coincides with your manufacturer’s recommended maintenance. We provide highly comprehensive maintenance services that will keep your vehicle running in top condition. For the best auto glass replacements, stone chip repair, and window tinting, trust Fenkell Automotive. Our certified professional technicians offer complete auto glass services and we use only quality materials and techniques to be sure that you and your passengers stay safe.